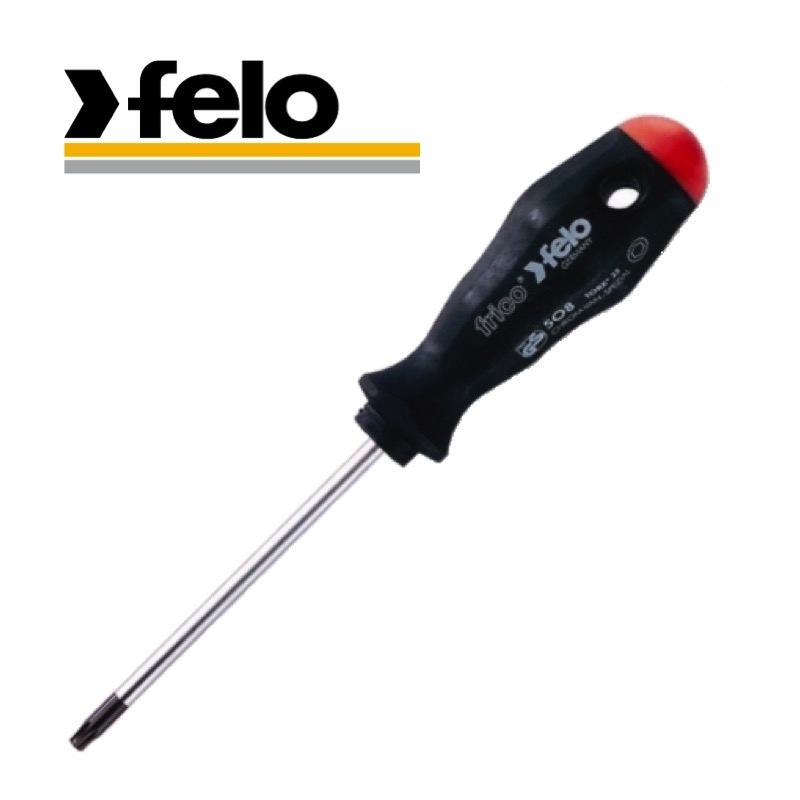 This high quality Felo Series 500 Torx® (star drive) screwdriver is built for comfort and durability. Two-component handle features anti-roll design with impact resistant core and soft, ergonomic outer layer. Convenient hanging hole can also be used to insert a lever for extra torque. Chrome molybdenum vanadium blade for superior durability & strength.